We are now just over 6 months away from our wedding date! In a previous post, I featured some of my favorite vintage style ideas for our wedding ceremony. I've pulled most of those details together, so I'm now starting to focus on how to carry that vintage style into our wedding reception. I've once again used my Pinterest addiction to help me find some amazing ideas. Our wedding reception venue in no way offers any kind of vintage or rustic feel. Instead, it boasts beautiful high ceilings, wall to wall glass which overlooks beautiful landscaping and an overall modern decor. My job is to carefully weave in some vintage details! Here are some of my favorite ideas for creating a vintage style at my upcoming summer wedding reception. 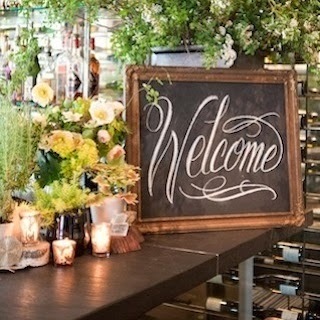 When my guests enter my reception hall, one of the first things they will see is our welcome tables. 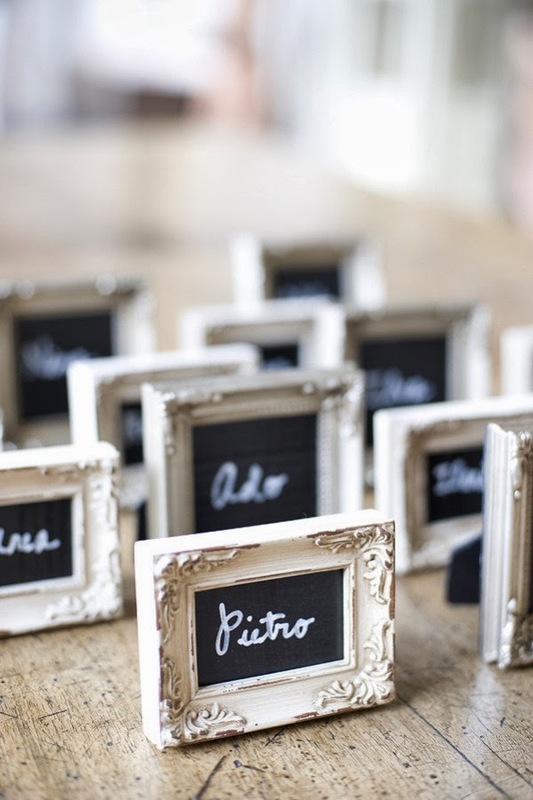 A place where they can put gifts, view family pictures and sign our guest book. 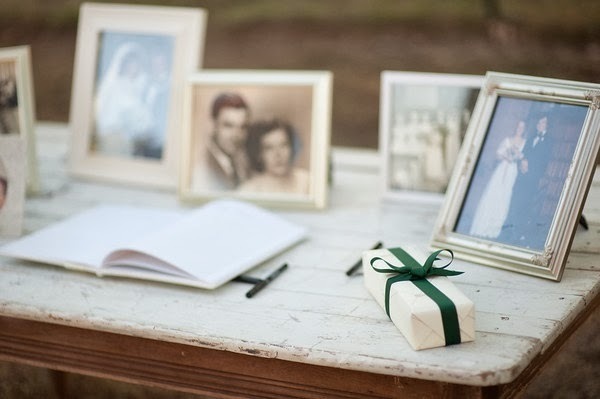 I love this simple, rustic white wood table complete with vintage frames and pictures of our parents and grandparents on their wedding day. Ideally, I'd like to find a couple of these and have them placed side by side. 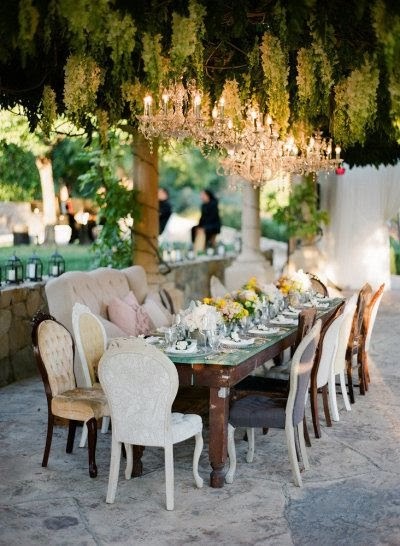 I would probably also add a lovely lace or burlap runner to give the tables just a little extra 'pretty'. I have struggled to find a unique and quite frankly, useful, way to have a guest book at our wedding. I really didn't want to simply have a guest book out that our friends and family would sign - I knew that we would probably end up putting it away after the wedding and never look at it again. 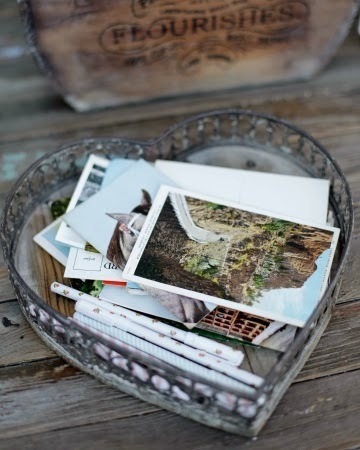 Instead, I have fallen in love with this vintage inspired guest book using vintage postcards. Our guests will take a postcard and write a personal note to us on the back. When they are done, we'll ask them to put it in a vintage mailbox or suitcase and then give them to my Maid of Honor at the end of the night. Over the course of our first year of marriage, she will randomly pop them in the mail for us. It's going to be great to get these in the mail - constant reminders of our fabulous wedding and all of our friends and family who shared it with us. I will be spending the next 6 months scouring vintage shops for beautiful postcards! I really think this look is what could make my reception stand out and really help to give our modern space a very warm, romantic and timeless feel. I wish I could offer this seating to all of my guests, but unfortunately that's just not in the budget! I think this seating is going to be really great as our head table. I'm currently working on finding just the right combination of vintage chairs and rustic tables. These are just some of my favorite ideas! 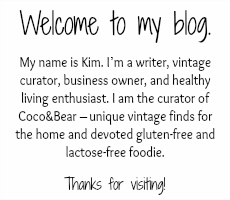 If you want to see more, be sure to check out my Pinterest board. 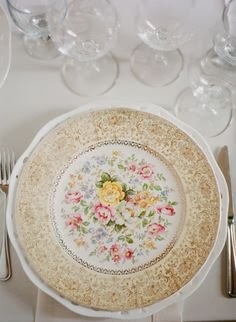 Would love to have any experiences that you might have with creating a vintage style for your wedding reception!